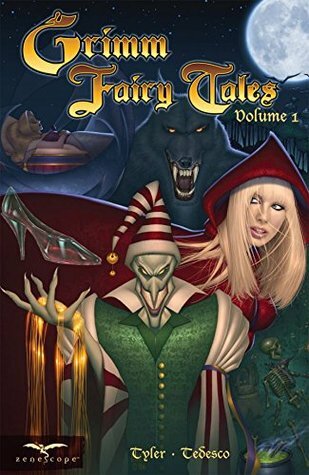 The Grimm Fairytales is a series of short re-tellings of classic fairy tales with a dark twist. In this installment, we have Little Red Riding Hood, Cinderella, Hansel and Gretel, Rumplestiltskin, and Sleeping Beauty. Each story the main character finds themselves in a fairy tale scenarios, which gives them a chance to see that maybe they are making the wrong choices. It's an interesting spin giving new life to some of my favorite fairytales. I love that each story is in color it allows the artwork to pop right off the pages. I think the artwork is beautiful it's easy to get lost reading The Grimm Fairytales and look forward to diving right into the next one. They are quick fast-paced and hard to put down. Highly recommend. This is definitely a fast paced series! I'm on volume 4 and I like them!